June 29, 2013 June 29, 2013 LionAroundWriting8 Comments on Snowden – Hero or Villain? 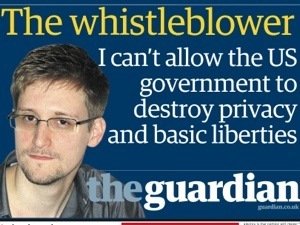 Edward Snowden. Arguably the hottest topic right now. Which feels refreshing as he isn’t some pointless celebrity. All he did was highlight what the Prism monitoring program does. He didn’t actually reveal any sensitive information beyond this and if freedom of speech is to be believed (everyone knows it does not exist) then he should be protected. Instead he was hounded and villified like he was some non-American. The irony is he only exposed something many people on the pulse had long suspected. And as we are all on the internet and use mobiles it feels like a highly important ‘leak’ if it can be refered to as one. “Instead he was hounded and villified like he was some non-American”. Do I take that to mean that that it is acceptable to hound and vilify non-Americans? No lol. Of course not. I was merely pointing out the way in which the Government went about the issue clearly showing it doesnt matter if you are an American citizen, they will hound and harass and discredit anyone who shows them in a bad light. A guy who leaves a salary of approximately $250,000 per month just for the sake of world’s internet safety, is now one of the top one on the hit list of US government, and shows the government they are not the boss, is certainly a hero. A revolutionist! Hero, time will shed more light on his heroism.